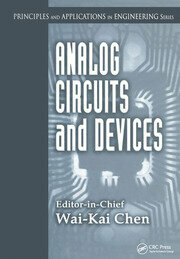 Culled from the pages of CRC's highly successful, best-selling The Circuits and Filters Handbook, Second Edition, Nonlinear and Distributed Circuits presents a sharply focused, comprehensive review of the fundamental theory behind professional applications of these complex circuits. 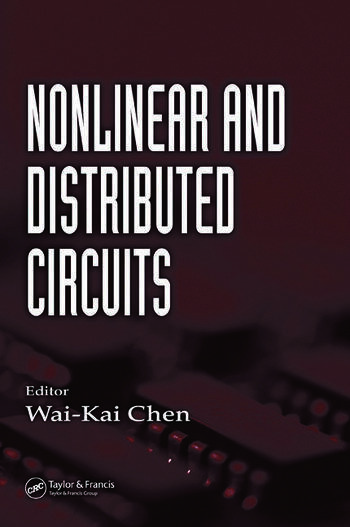 It supplies a concise, convenient reference to the key concepts, models, and equations necessary to analyze, design, and predict the behavior of nonlinear and distributed circuits, illustrated by frequent examples. Edited by a distinguished authority, this book emphasizes the theoretical concepts underlying the processes, behavior, and operation of these devices. More than 225 figures and tables illustrate the concepts, and where necessary, the theories, principles, and mathematics of some subjects are reviewed. Expert contributors discuss the analysis, synthesis, and design of nonlinear circuits; their representation, approximation, identification, and simulation; cellular neural networks; multiconductor transmission lines; and analysis and synthesis of distributed circuits. Nonlinear and Distributed Circuits builds a strong theoretical foundation for the design and analysis of both distributed and nonlinear circuits while serving as a handy reference for experienced engineers, making it a must-have for both beginners and seasoned experts. NONLINEAR CIRCUITS. Qualitative Analysis. 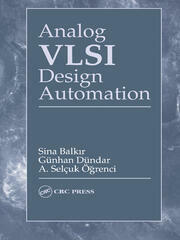 Synthesis and Design of nonlinear Circuits. Representation, Approximation, and Identification. Transformation and Equivalence. Piecewise-Linear Circuits and Piecewise-Linear Analysis. Simulation. Cellular Neural Networks. Bifurcation and Chaos. DISTRIBUTED CIRCUITS. Transmission Lines. Multiconductor Transmission Lines. Time and Frequency Domain Responses. Distributed RC Networks. Synthesis of Distributed Circuits. Index.